Otto von Bismarck, German statesman, 19th century. 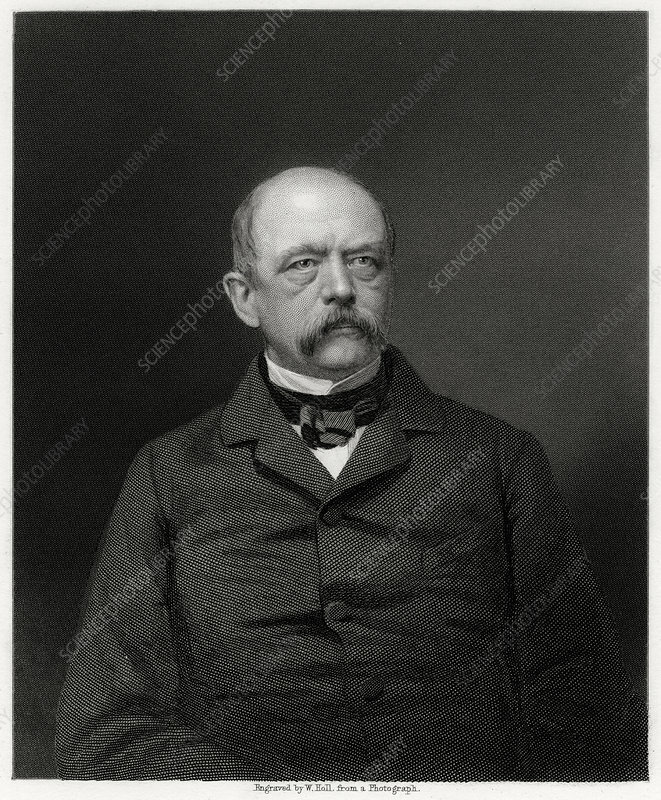 Otto Edward Leopold, Count von Bismarck (1815-1898) was Chancellor of Prussia and architect of modern Germany. His ambition was to unify the various independent German states into a single nation under Prussian leadership. The catalyst to bringing this about was the Franco-Prussian War of 1870, when the other German states fought alongside the Prussians. France was defeated, and in 1871, the German Empire was established, with Bismarck as Chancellor. Artist: W Holl.